These timeless champagne flutes are a perfect for that first toast as husband and wife. 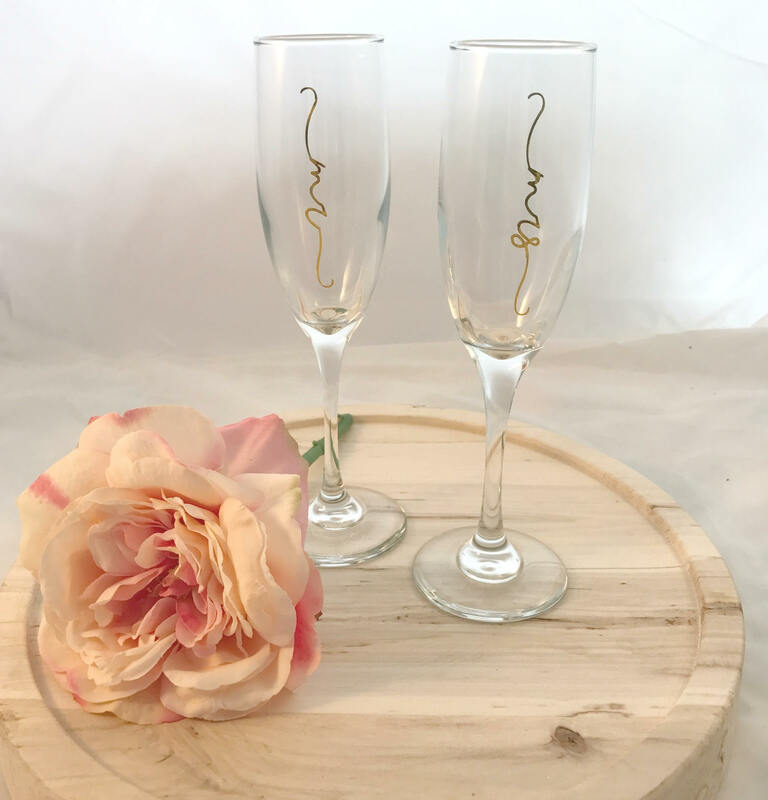 They are made with sturdy glass flutes with gold foil "mr" and "mrs". Pair with a bottle of bubbly for the perfect gift.